Raise your hand if you have a love-hate relationship with makeup. At one hand, you can't live without it—chances are you'd rather spend the day barefoot than stepping out without concealer—and yet, you wish you could, 'cause makeup bears the notoriety of making even the most well-kept skin break out like nothing can. But what if we tell you that we found a makeup line that's made with skincare in mind? 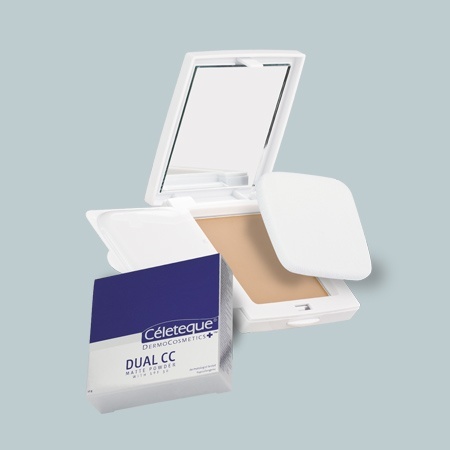 Celeteque's DermoCosmetics line provides proper coverage and pigmentation, infused with special ingredients that moisturize the skin and prevent it from aging. Now why didn't all makeup brands think of that? What it does: Collagen Peptide and Phytocelltec reduces fine lines and wrinkles within four weeks of use. This full coverage foundation has SPF 30 too! 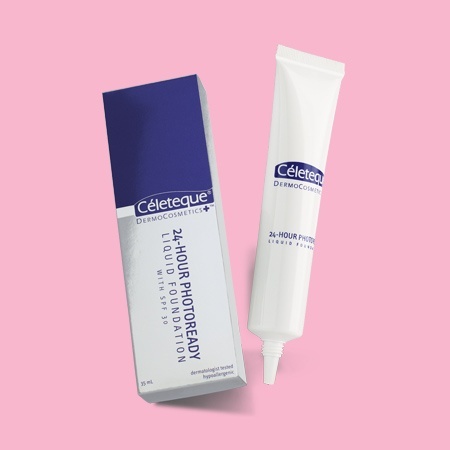 What it does: Polymethyl Methacrylate minimizes pores while getting rid of fine lines and wrinkles, gets rid of excess oil and makes makeup stay longer. What it does: Gets rid of oiliness in two weeks while keeping the skin firm and elastic, thanks to its collagen properties. Glutathione, Arbutin, and Mulberry lightens skin with regular use. 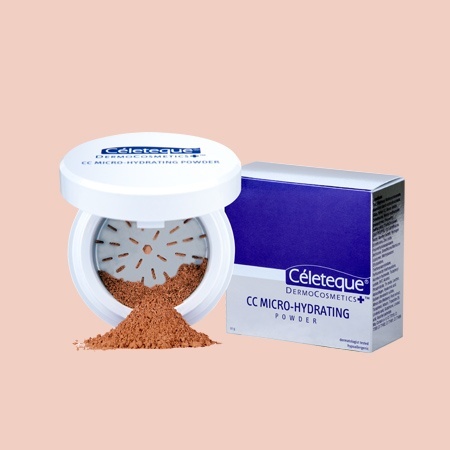 What it does: This ultra-fine powder blends well with the skin, while keeping it thoroughly hydrated, moisturized and nourished with Hyaluronic Acid and Vitamin E.
What it does: This anti-smudge mascara is infused with Aloe Barbadensis Leaf Juice which prevents bacterial infection on the eyes and nourishes the roots of the eyelashes. 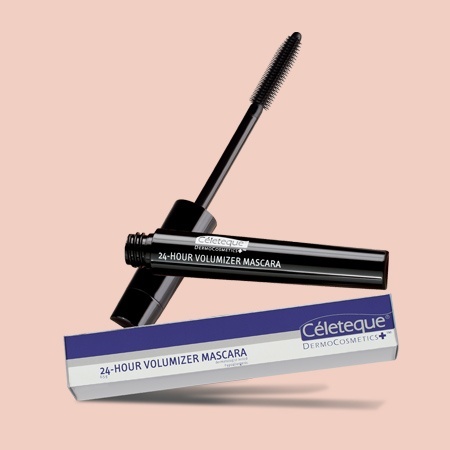 This also comes with a retractable mascara brush that can be adjusted to achieve your desired volume. 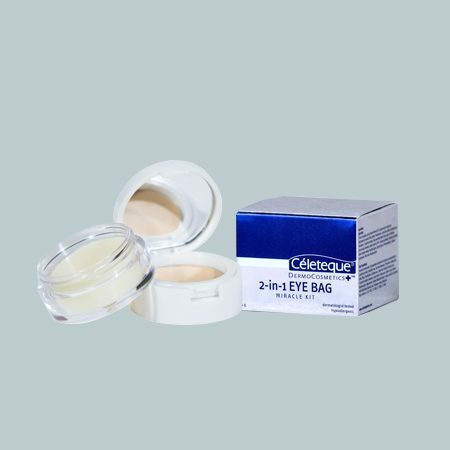 What it does: Two super products in one package: an eye balm with Cytobiol Lumin-eye that reduces puffiness, and an eye foundation that hyrdates under-eye skin and prevents damage for this sensitive area. 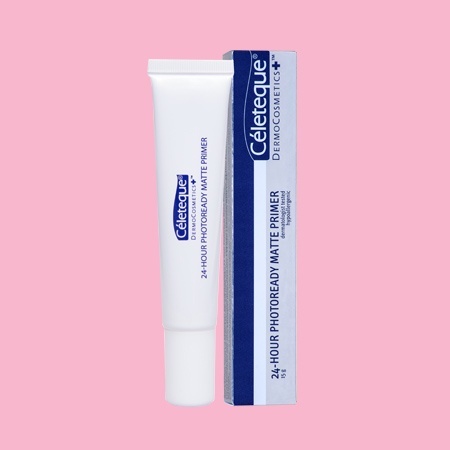 CELETEQUE is available in all major beauty counters and drugstores nationwide.